The following is a letter from Curtis and Joanne Ersing to our church family, expressing thanks and sharing with us how God has continued to minister to them in this past very difficult year. Curtis and I would like to thank each one of you who have been part of our grief journey this past year. The love you have extended to us through prayer, cards, hugs, and texts reflects the unspeakable value and necessity of community. April 5, the day of Jonathan’s tragic accident and my mom’s long-awaited passing into the arms of Jesus, is coming and will come again every year. Our grieving will not disappear; rather, we are learning to live with the tremendous loss and continue to look to God for comfort, personal growth, and next steps. Our loss teaches us greater compassion for the losses and disappointments of those around us each and every day. “Our appreciation for people has grown immeasurably…though we have never felt more fragile and inadequate. 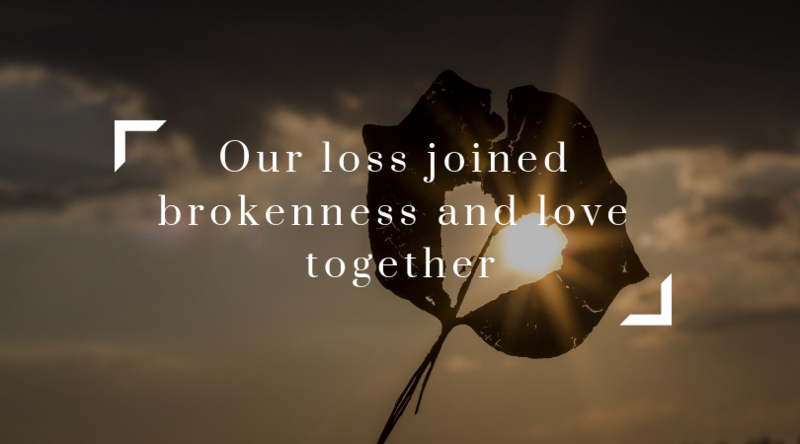 Our loss joined brokenness and love together. Brokenness drove us to love, and we found a new source of love that we could not find in ourselves. We found it in community, and in the God who creates and sustains community for broken people like us.” p. 167.